All of a sudden, it seems like almost no one is making laptops like Alienware makes laptops: beefy, loud, and fast. 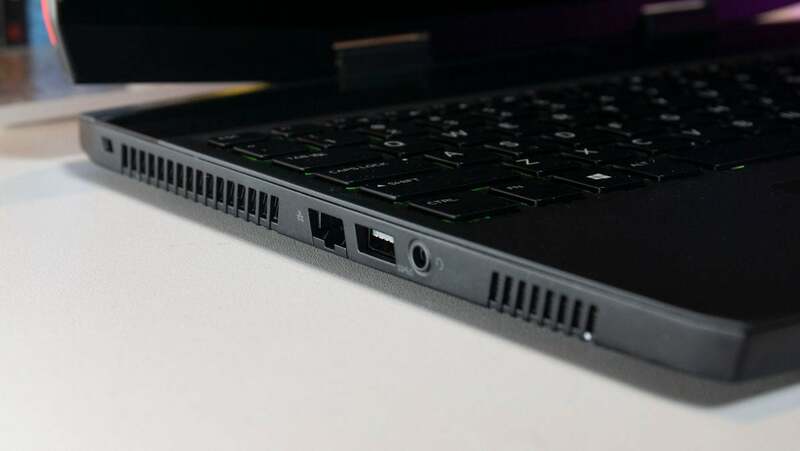 Most of the top gaming laptop makers have embraced the design style popularised by Razer and supported by Nvidia’s Max-Q design ethos: thin and sacrificing a little power for portability. But not Alienware, man. This company is still making laptops that are lap in name only, and the Alienware m15, in particular, stands out, because it’s really big, it’s really powerful. And as it turns out, it’s surprisingly portable. What is it? 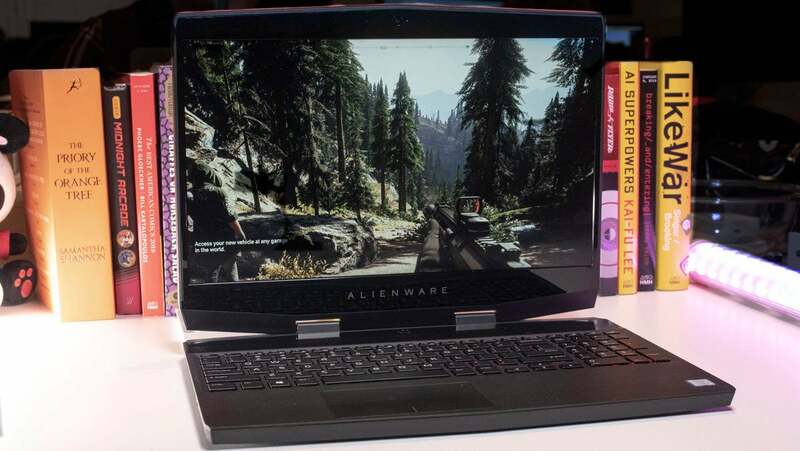 : Alienware's thinnest gaming laptop ever. Like: It's fast, and surprisingly light for the amount of power inside. Don't Like: It's loud, and the battery life could be better. Portable for a supremely powerful laptop that is. 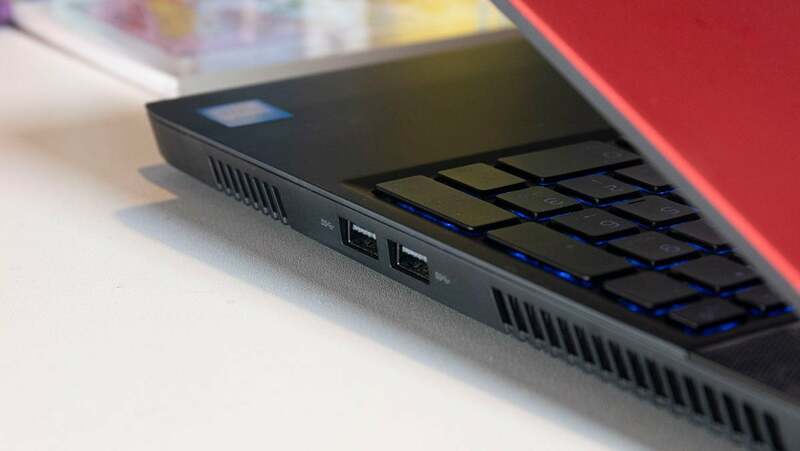 The m15 is a 15-inch laptop, which means it’s already pretty dang big, and it’s a gaming laptop, which means it’s got a lot more fans and heatsinks to keep things cool, and a hefty battery to keep it powered for more than an hour. All versions of the Alienware m15 come equipped with an Intel i7-8750H CPU. The cheapest version, at £1,333, has 8GB of RAM, a 1TB HDD, a 60Hz 15-inch display, and a Nvidia GTX 1060. But all other versions come with 16GB of RAM and at least a 256GB SSD on top of the 1TB HDD. There’s also a Nvidia GTX 1070 option, and the choice of a 144Hz 1080p display, or a 60Hz 4K display—the latter of which will only be available in a laptop that retails for £2,450. The build reviewed here has a 1070, 16GB of RAM, and the 144Hz display. It’s currently available for £1,950, which is cheaper than the thinner and lighter £1,980 Razer Blade I reviewed this year, that was spec’d virtually the same (though it opts for a 1060 instead of the 1070). That’s a great product to compare the Alienware m15 to because the computers are representative of two very different philosophies of gaming laptop design. Razer believes in sleek lines, and portability, with its gaming statement made via the RGB lighting in the keyboard. But Alienware opts for something a little less portable and a lot flashier. 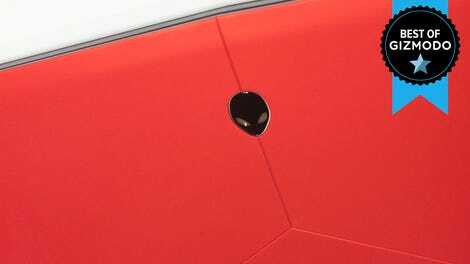 Yeah, it’s got an RGB keyboard too, but it also comes in bright silver or vibrant red, and possess a supercar like design that marks it unmistakably as a gaming laptop. In a dimly lit room, the Razer could mute the lights on the keyboard and look like any old 15-inch laptop. That’s not the case for the Alienware. It screams gaming, and you’ll need to make your peace with that declaration if you want to buy it. Your shoulders won’t need to make peace though. Alienware laptops tend to weigh 5 pounds or more, and they’re often very thick—as thick as a good book. But the m15 weighs just 4.78 pounds, only .12 pounds heavier than the Razer Blade, and 2.91 pounds lighter than the previous generation of Alienware’s 15-inch laptop. That comes courtesy of a new design that gets rid of all the aluminium in the device and replaces with lighter magnesium. But lighter doesn’t mean smaller in every way. Yes, at .705 inches, it’s thinner than last year’s 15-incher (1 inch) and the Razer Blade (.78 inches), but it will continue to take up a lot of space on a desk. 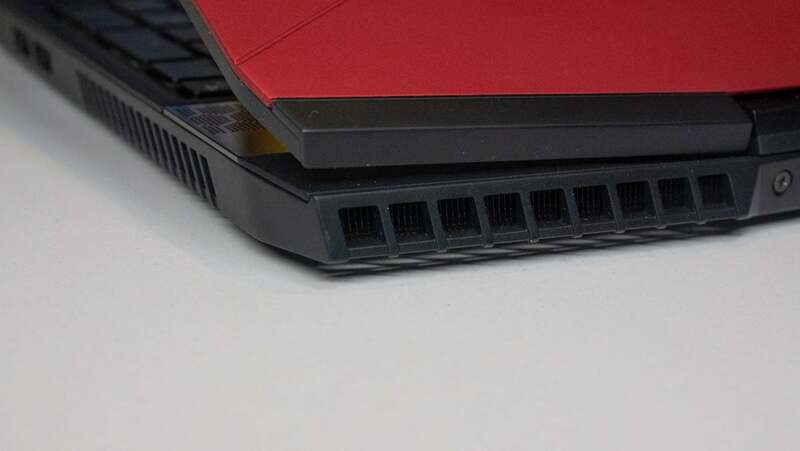 Alienware needed to pack in a heat sink and a lot of additional cooling elements to keep the guts from overheating, that means room, and rather than increase the thickness Alienware opted to increase the depth of the laptop. It has a depth of 10.8-inches, which means it takes up more than an inch more on your desk compared to something like the less powerful Razer Blade, which is 9.25-inches deep. That’s important because it means you cannot use this laptop in the cramped confines of an aeroplane cabin (unless you scored a seat in first class), and you’ll find yourself balancing things a little awkwardly if you bring it to a coffee house and set it on one of those tiny tables. But look, all this weight and size? It’s the cost you’re paying to have a very fast laptop. It’s not the fastest. MSI made a 10-pound behemoth that smokes the m15 in benchmarks. But compared to the Razer Blade, which costs more and weighs only a little less, the m15 is fast. In older games like Rise of the Tomb Raider, the gap in performance wasn’t terribly significant; the m15 averaged 78 frames per second versus the Blade’s 70 at 1080p with settings on Very High. But in Far Cry 5, a more demanding game released this year, it averaged 79 fps, while the Razer Blade averaged just 61. That’s at 1080p and with graphics set to ultra. Dropping the performance down to high and you start to appreciate that 144Hz display, with rednecks and mountain lions of the game’s version of Montana moving across the screen with almost lifelike speed. Unfortunately, all that speed means the laptop needs to kick on its fans to keep cool, and those fans are noisy. You’ll want to play with a headset. You’ll also want to avoid playing in bed. Alienware has told Gizmodo many times that it builds its laptops to be played on a desk. So the machines rely on venting heat out of the bottom of the laptop. When I measured the temperature after running back to back benchmarks of Far Cry 5 and Rise of the Tomb Raider, I found it was only a barely tolerable 54 degrees Celsius at the warmest location on the bottom. That’s too hot to keep on your lap for long. And as for battery life? Don’t expect 10 hours or more. This might be one of the lightest and thinnest laptops Alienware has ever made, but it’s still a gaming laptop, and in our battery test, where we stream a YouTube video with the display’s brightness set to 200 nits, the Alienware m15 dies after 6 hours and 35 minutes. The Razer Blade lasted nearly an hour more (7 hours and 21 minutes), but the Razer Blade also can’t go as hard in video games, and it doesn’t scream its purpose quite as loud through sheer design—it’s also a lot more expensive! There are much cheaper gaming laptops. Samsung, HP, and even Alienware’s parent company Dell, all making laptops that game and cost noticeably less. But the Alienware m15, much like the Razer Blade, isn’t for gaming in a pinch. These are machines that are going to play the latest games damn well, and they’ll be able to play next year’s games, and the ones the year after that well too. More importantly, these systems are actually portable now, and if you’re looking for one that marries portability and performance than I think the Alienware m15 is the best one you can buy. It might scream “gamer” a little louder than the Razer Blade, but it’s also faster in the best games, and cheaper too. It plays AAA titles from 2018 at well over 60 frames per second. It’s cheaper than similar laptops like the Razer Blade. 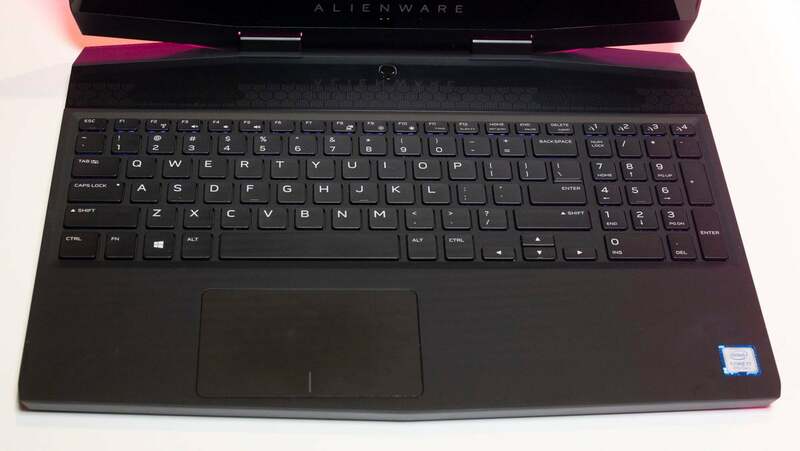 It’s the thinnest laptop Alienware’s has ever made. But it’s still thick, and the battery life leaves much room for improvement.